It was a pioneer ensemble drama, with no star characters but a lot of individuals – the police officers in the Hill Street precinct – with whom it was easy to get invested. The critics loved it: in its first season it won eight Emmys, a record only broken by The West Wing. Audiences found themselves telling their friends “let’s be careful out there”. The reason I mention this now is that Hill Street Blues was the first television drama with a budget of a million dollars an episode. Big cast, lots of innovative shooting techniques like documentary-style handheld cameras, location action: you could see where the money went. $1 million for a top-end, long-series popular drama in 1985 is the equivalent of $2.12 million today. But in practice drama budgets are getting bigger. 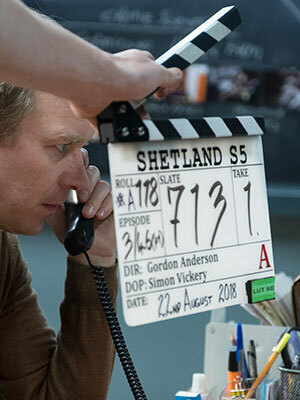 According to Broadcast Intelligence, the average revenue generated by independent production companies for British drama is soaring, to £1.3 million ($1.7 million). Remember that is the average. Every hour of The Night Manager blowing up the Morrocan desert is set against simple, standing sets drama like Holby City. The Night Manager, incidentally, cost £30 million for six hours, or £5 million an hour. Netflix production The Crown was a reported £100 million for the 10-episode first series, or £10 million an hour. It prompted the BBC News website to run a story asking whether the television series was more expensive than the actual royal family. BBC commissioners hit out at the cost of The Crown, suggesting in a press release that it made 18 drama series for the cost of Netflix’s hit, including fare as varied as Call the Midwife and Peaky Blinders. On the other hand, Netflix has gone public with its $8 billion (yes, billion - £6.1 billion) drama budget. I am talking about drama because it is bucking the trend of ever-tightening budgets. The same Broadcast Intelligence report, for example, suggests that revenues for scripted comedy fell by almost a quarter between 2013 and 2017. But with the big players like Netflix and Amazon Prime (does anyone else love The Marvelous Mrs Maisel as much as me, despite the bizarre spelling?) putting vast resources behind drama, it looks like it is the place to be. What does this mean for our techy end of the business? Many of us will be heading off to Las Vegas all too soon for yet another NAB. What should we be looking at? The front page of the nabshow.com website has a list of hot topics this year (in funny script). These are: cloud, podcasting, 5G, in-vehicle entertainment, AI, streaming and esports. Are these hot topics? Podcasting is, to all intents and purposes, self-published talk radio – not much cutting edge there. In-vehicle entertainment looks like being an upgraded car radio to keep you amused when autonomous vehicles mean you don’t actually have to drive much. But if the big money is going on drama, what are the advances which will spend it? The most obvious point is that broadcasters and streamers need to trim costs to the bone in every other aspect of their operations to be able to afford these new tariffs for drama. High levels of automation, probably including machine learning, will bring about some important efficiencies. In this respect, the hot topic for me this year is microservices. If you break a workflow down into the smallest parcels of functionality that can be defined, that is a microservice. Designing systems this way means you simply pull together just the functionality that you require at the moment you require it. To take a simple example, a standalone transcoder might include a scaler and a de-interlacer, and in some workflows they are very useful. But if all you want to do is go from one codec to another at the same resolution, then the scaler and de-interlacer are just taking up processor cycles, power and air conditioning for no good purpose. But if they are microservices in a software-defined workflow, you start them should you need them, not if you don’t. If you really want to make the most of the cloud then your system design has to be fully virtualised. And the best way to make virtual machines is to build them from microservices. This is a 180 shift from traditional software design, which assumes that all resources are available all the time just waiting to be called. A microservice architecture only calls resources when they are needed. Simply putting traditional software into the cloud means you will be using a lot of resources unnecessarily. And AWS or Azure will charge you for those resources, so your runtime costs could end up surprisingly high. I had to look up Docker containers, too. Docker is a widely used development and runtime platform for microservices. It defines its container approach as “a standard unit of software that packages up code and all its dependencies, so the application runs quickly and reliably from one computing environment to another. If you look at the Docker website, it is full of encouraging statistics like 1300% improvement in developer productivity and 300% boost in speed to market. What you will not find on the website is any mention of television drama, or indeed anything to do with media at all. This is an IT industry concept, into which smart developers can drop media applications via microservices. I am sure I have said this in these pages before, but it is worth repeating. The media technology business, in terms of products but not services, is worth around $20 billion a year. The big IT companies like Intel or Microsoft or Apple spend that much on R&D alone. Compared to the IT industry we are tiddlers. The question to ask of “cloud-ready” vendors at NAB, then, is whether they are trying to make IT systems do media, or if they are making media systems which look like standard IT microservices. Only the latter is going to succeed. The other thing that seems to me to be important about using a standardised microservices infrastructure is that you can add new services – new functionality – as you need it without breaking anything else, because each container is complete and, well, self-contained. This means that you can collect microservices from a number of sources, and even write your own if you need to. That is the route through which machine learning will be added to systems. As you need intelligent decision making, so you drop it in. And those decision-making microservices – which over-enthusiastic marketeers will call “artificial intelligence” because it sounds cool – are likely to be very finely tailored to your requirements. Going back to our generously funded drama, you might develop an intelligent system which manages location data. The PA could use an iPad talking to the cloud to record scene, shot and take number, and notes on each take, just as drama PAs have done since time immemorial. But up in the cloud something could be parsing those notes, maybe determining which takes need to be transferred from the location to the editor. Rather than booking vast amounts of data capacity to send everything, you could rely on machine learning to understand what is a priority, what can wait and what can conveniently be scrapped. It could be a real boost to productivity. We know how to make great drama, from a technology point of view. The camera and lens manufacturers will show us their latest showreels; the edit and grading workstations will have new software releases. But just as the invention of Microsoft Word did not turn us all into Shakespeare, great drama is not made from technology. The hardware is there to make it easy for creative people to tell stories.